Citrus blast against rose and a desert background sounds really intriguing for a cologne indeed! Plus all natural oils for sure will give it a truly sunny vibe. I'd love to try it! I so want to smell this! Great review. Thanks! Love the review, Now I really want to win it even more. Looking forward to more from him next year. I'm looking forward to this release. I will have to work hard when I get to sample this to be sure not to make a comparison to LDDM and give it a wearing of it's own right. I've enjoyed AT's work in so many regards and always have to remind myself that while LDDM may be my grail, that I'd do a disservice to Mr Tauer by not giving all of his works an open mind upon which to work their magic. I hope this finds you and yours well this holiday season D.
The visual alone makes me want to try this. It helps, too, that I am partial to citrus and cedar. This would be my first Andy Tauer and it sounds from the review it would be right up my alley. Thanks for review. Sounds very interesting. And nice pictures in your blog. My grandfather served in the Maghreb 100 years ago in the french foreign legion, I still have his wife's huge bottle of 4711....I really would love to win this! Oh, this sounds ...heavenly! An oasis in the desert. Now, my curiosity will be killing me! I'd love to be entered in the draw! Since this is not for public sale it sounds like this is my only opportunity to try this one. It sounds magnificent. Sounds lovely, glad you tweeted this and hope to win! Mmm - sounds delightful! Please enter me in the draw. Another great site to follow/read. Thanks for your description of the scent! Hmm, I really don't like posting my email out there so publicly; therefore, would you allow us to just see if we're "picked" as the winner, and then the winner can contact you directly via this site afterward? Sounds like just the cure for a dreary winter day! What beautiful pictures! I can't wait to try this! I would so love to win this! I love colognes for hot weather (which we have plenty of on the Gulf Coast). Citrus scents are already a favorite of mine and the combination of citrus and rose sounds intriguing. Fantastic review! It leaves me wanting to know more! hello! glad to visit your page. "L'Air du Desert Marocain, it is certainly comparable as its sister scent " oh is it? nice to hear ! Your review makes me even more curious to try this. Maybe I will be lucky! Thank You for this post and a great opportunity to win! Sounds like another winner from Andy! Please enter me in the draw. Inspiring review! Yes, I would love this cologne, and it seems that my only chance is to win it since I cannot simply buy it. The word verification happened to be "prewin" lol, I so hope I get to smell Andy's new creation this year. Great review, great pictures! It makes me want even more to try this cologne. Great review and thanks for the draw! Testing my luck, hoping Miss Fortuna smiles at me today :). Lovely review, this sounds perfect for late spring into summer. Great review, it would be nice to win! Nice blog you have. And thanks for Andy's contest. The oasis in the picture reminded me of the work of Douanier le Rousseau. I would love to win this one! Oh, wouldn't it be great to win this cologne. Love the review! And by following Andies advent calandar I have found this blog, love it. I like your pictures a lot and I'm longing to smell this cologne. Great review! Thanks for the opportunity. Le cologne du Maghreb turns into unattainable goal for me... chasing it here and there. Is that my lucky place? Thanks for hosting this, would like to win a bottle of Cologne du Maghreb. This release sounds very appealing. Cheers! Yes, please enter me for the draw. Many thanks. I really would love this Cologne, I'd love a chance to win it - please enter me in the draw! Tauer is sure getting the word out about this fragrance, Its got me anticipating checking it out. This sounds so lovely really would like a sniff! Thanks for the review! Please enter me to the draw. Great review and makes me want to try it that much more! Nice review! It sounds lovely, please enter me in the draw. the mere idea of this cologne sounded incredible... but this description?? egads... this sounds like nothing short of absolutely sparkling. I want it, I love Andy's stuff my favourite is also L'air but there is nothing in his line that I do not lust over. Thank you Dimitri for this positive and clear review! This cologne really does sound to die for, especially for someone who loves that type of scents! Thanks for the great review and for hosting an Andy giveaway. Fingers crossed, hope to win. Following the trail of the cologne du Maghreb, I discover blogs I had never seen before. Thank you for hosting this giveaway! I really appreciate the fact that you have included a review of the actual cologne. So far among all citrus fragrances I've been liking most the ones made with natural oils by perfumers who are passionate about their art. I've liked DSH's citrus fragrances before and I am yet to try one from Andy Tauer! If I am the lucky winner, please contact me as Warum on Basenotes or at write2warum at gmail. A lush oasis of scent on my skin perfect memories of warmth in these winter months. Thank you for the wonderful review. It sounds lovely! Sounds wonderful as typical for a Tauer scent! Great review, and gorgeous photos! Thank you for this. Summer's here and Andy Tauer's new fragrance sounds like the perfect companion! I'd looove to give it a try! 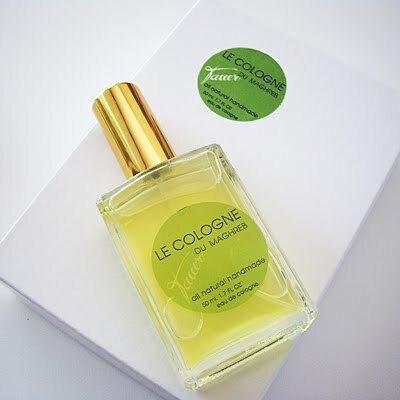 I've always had trouble with Eaux de Cologne because they are sometimes a little boring. But I'm quite sure Andy's version isn't! Hope I win! fqgouvea at colby dot edu is the email. Hi everybody, I'm glad to be with you once more again, reading you posts is pleasant and amazing. Anything by Andy intrigues. Thanks for the review. I really wanna get a bottle of this one, I hope I could get one. I love Andy Tauer's Advent calendar giveaway. Fingers crossed! Excellent review! One of the many nice things about Andy Tauer's Advent Giveaway is his tour of perfume blogs. I am definitely bookmarking this one for return visits. Of course, I would love to smell Le Cologne du Maghreb, too. Please enter me in the draw. I very much love the images you posted here. The second one reminds me of my trip to Granada, and I have to say that when I visited Algeria I had to go again and again, but I have never been to Morocco for example. What a fabulous and evocative review! Your review sounds great: this would be an awesome antidote to winter! Interesting blog - thanks for hosting the contest today. I love the pics for today. What an inviting oasis and is that a nest on top of that red rock hill/wall/whatever it is? Nice to be introduced to your blog. Thanks. Those are lovely pictures - especially during the first snowfall here! Now I really want to smell this! Thanks for the review, Dimitri!!! i love all of andy's fragrances! I have to say, this is getting frustrating, entering these draws day after day and not winning. So I think this might be the last time I try. I just wish this was available to try for anyone who wants (at a price, of course) rather than this endless teasing. Lovely review (as always) Dimi! This cologne sounds so amazingly yummy the way you describe it... I can imagine it smelling a little like Xerjoff's Fiore di Ulivo, but with that desert vibe behind it... much different! Wow would SO like to get my hands on this. Season's Greetings! Unique - that would be great! Great review! I'm even more excited to smell/own a bottle as you described it a "sister scent" to LDM! Great review. Would love to try this special cologne. I would love to try this - sounds wonderful! Thanks for review and for hosting the draw, Dimitri! would love a chance to win! Thanks for the review. The more I read about this, the more intrigued I become. Hope I'm lucky enough to win a bottle to satisfy my curiosity! Thank you for the review. I would very much like to try this. "Le Cologne du Maghreb", what does that translate to? Interesting , sounds like a great fragrance, seems to be exceptionally crafted! AT Le Cologne du Maghreb sounds beautiful! Thanks for the review! Dimitri, Great review! It's the first really expressive description I've read besides Andy's. I'm imagining the opening explosion of Orange Star amped up a few notches. I really hope the fates smile on me sometime during this Advent Calendar!! Anyway, thanks for the great writing as usual and for hosting. This sounds enchanting! I didnt realize it was limited edition either; sounds like a must sniff! draw. I really want to smell this scent. This scent just sounds so wonderful! And what a great idea the Advent Calendar is! I adore Andy's fragrances and am very interested in his cologne. So count me in the draw, please! Cheers! Thank you for the review and the giveaway, please do enter me in the draw! wonderful review....sounds like a more than worthy addition to Andy's great work. Sounds like a lovely fragrance, please enter me in the draw! I so want to smell the citrus, the roses, the thought of the sand dunes surrounding the oasis! Thank you for the review! It sounds stunning. Please enter me in the drawing. This is honestly one of the best,most evocative reviews I've come across.many thanks! Dimitri I'd love to be entered in the draw. What a wonnderful description - this sounds unlike anything else being created at the moment - not sweet or overly floral, but with a fresh sweetness and a crisp undertone. How lovely! The limited-edition nature of it makes it really desirable--hardly anybody's going to get to smell it, so naturally everyone wants to. I think my e-mail address should be attached to this in some way, since I used my Google account, but just in case: pyramus at rogers dot com. I keep trying to win an Andy Tauer perfume. The review was so inspiring! This cologne must be wonderful, indeed. Beautiful imagery, and that's a beautiful image. Would love to try. This sounds like a wonderful fragrance-Iand now, if you'll excuse me, I an going to read your archives because this site is new to me! What a great photograph used in this review. I hope I can smell this one. Thanks Sorcery or Scent and of course, Mr. Tauer! Thanks for the review! I hope to win :)helenpetry at gmail dot com. Great review and thanks for the opportunity. My first time to this site! I looked around and really like it, so thanks to Andy for the virtual introduction. I'm sure it's another great Andy's creation - as well as the earlier ones. It's been a rough day, and oh boy, do "replenishment and rejuvenation" sound good right now! Wonderful review, and thank you so much for hosting today's advent draw. Sounds perfect for a citrus craving, and I love the description. Nice review -- am dying to try this one! Sounds like the perfect scent for the hot TX weather. I need something a bit more complex than my trusty 4711 to wear next spring/summer. I'd love to try this. Please enter me in the draw. Nice review! Indeed this sounds intriguing and I'd love to try it. Please include me in the draw! L'Air has long since been a favorite of mine, and, after reading this review, sounds like a perfect complement to it! Hoping to try this one soon! Thanks to Andy Tauer for his generosity! Great review! Big Andy fan, would love to try this. Thanks for the post. A "detonation of juicy citrus"? Sign me up! But if I won't win, is Andy going to actually sell this? Or just tantalize us with the thought of its existence? I'd love to win this! Sounds like a wonderful fragrance....nothing like the usual we find here in Mississippi. Intriguing indeed. Please include me in the drawing. Thank you. omg omg ... pick me! pick me! good job, and keep up the good work. Great review!! Andy is so generous to do this every year! furriner at g mail dot com. Got to agree Dimi, sounds like a fabulous fragrance, one I would very much like to win! Am I too late? Thank you for the review. I love the idea of a desert oasis. Lushness and dryness? I'm intrigued. Hope I'm not too late ro leave a comment on this amazing giveaway, thanks for this opportunity! Oh, my, my, I would love to try this! Would love to be entered in the drawing! The notes sound delicious to me. The more I hear about this scent, the more I want to try it!